Accommodating the flavor preferences of your entire office has never been easier! Since Keurig K-cups enable you to brew individual cups of coffee, you no longer have to purchase one flavor in bulk or worry about wasting money on excess brewing or stale coffee. Providing such choice shows employees you value them—and also cuts down on coffee runs throughout the day. When you’re looking for Keurig K-cups or pods for your single serving office coffee machines, trust Sandia Office Supply to have the variety you want at an affordable price. In addition to keeping office breakrooms filled with flavorful coffee, we also provide office coffee equipment, including Keurig coffee makers, so coffee can be brewed fresh all day long! 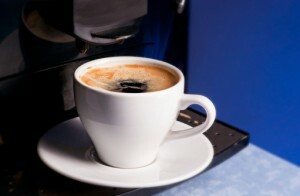 As a Keurig Authorized Dealer in Albuquerque, we are proud to be your one stop for office coffee equipment solutions. Sandia Office Supply is committed to making your life easier when it comes to running a busy office. Our knowledgeable representatives will take the time to get to know your business so we can recommend solutions and tailor our services to best meet your needs. Call 505-341-4900 to order your office coffee equipment with Sandia Office Supply of Albuquerque, NM today!